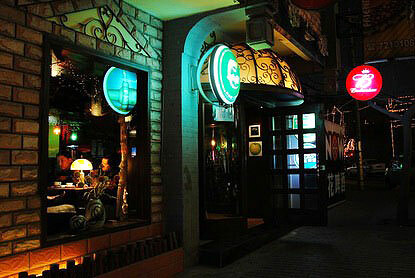 As the most outstanding bar street in Xian, Defu Lane (Defu Xiang) is best place to taste Xian nightlife. 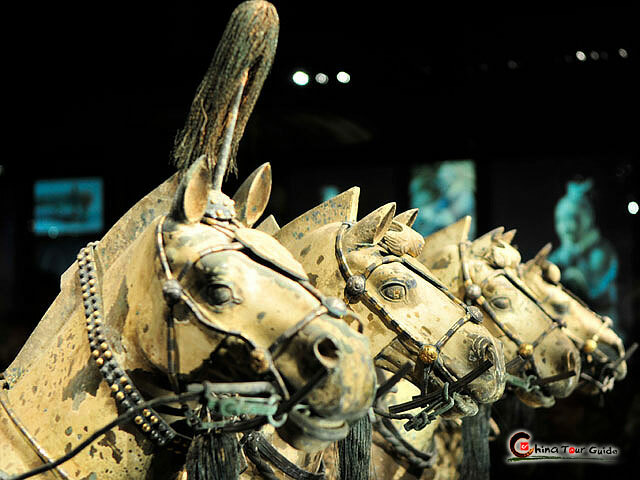 The tourism-oriented Defu Lane is classically elegance. 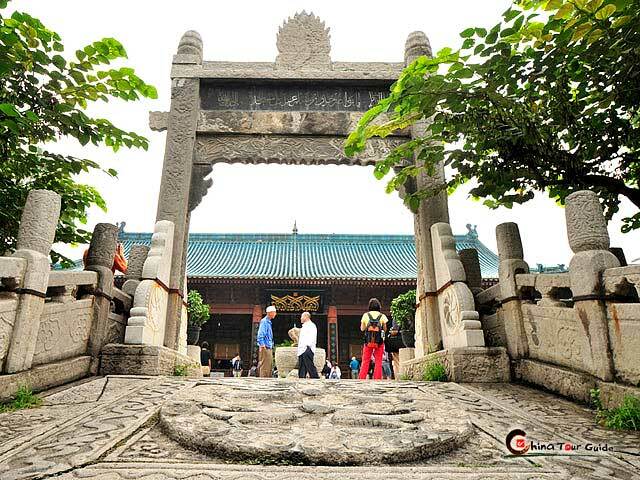 The majestic three-way stone archway, the imitated old houses which could date back to Qing Dynasty (1644-1911) and the pavement made of large bluestone pieces, are the great ingredients for a beautiful scene of the street. 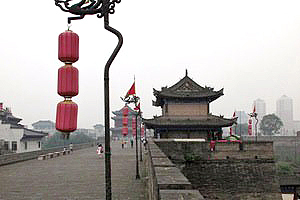 The entrance of the Defu Lane. 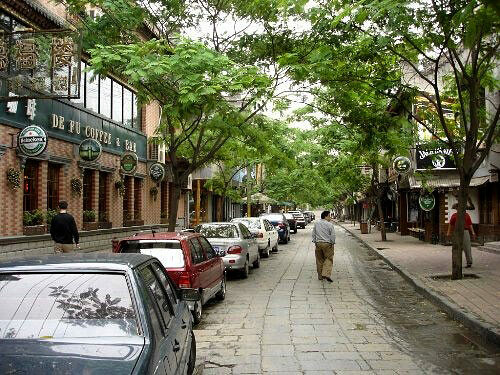 Many cars parked on the Defu Lane. 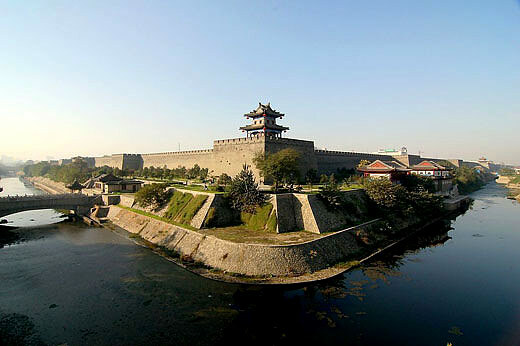 Just like Shanghai's Xintiandi and Beijing's Sanlitun, Defu Lane in Xi'an has been a sign of vogue. 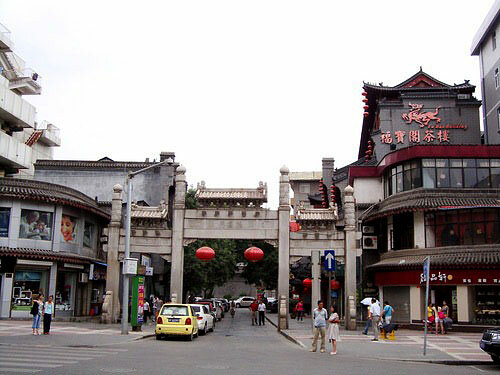 Bars, teahouses and coffee shops in the 200-meter-length street cater the need of upper and middle classes customers, and the names of these bars & cafes indicate the westernization of local lifestyle. The bars are all more or less the same, so you can take your pick of any of them. Generally, the bars are nice enough, but they're unlikely to ever be crowded or particularly exciting. 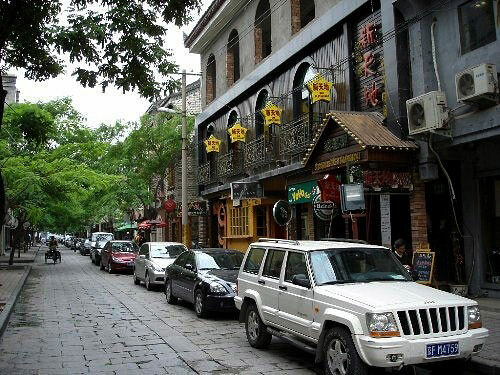 It is the center of Xi'an's nightlife, where you can relax yourself with locals and other travelers from all parts of the globe..
A night bar on the Defu Lane. Defu Lane is lonely in the morning.